By now most of you have become aware of genetic testing of your DNA through sites like AncestryDNA and 23 and Me DNA. It’s fun to see most of the relatives in your family tree and see where you came from and finding out that even though you think you are Irish, part of your DNA is Swedish. But what if you could have your DNA tested for really important things? Wouldn’t it be great to discover what foods will do the most good and which ones are bad for you? Wouldn’t it be great to find out what diseases you are likely to get and by knowing that in advance you could take precautionary measures? Wouldn’t it be great to know which exercise program is best for your body based on your own individual DNA? Today this is entirely possible. No more trying every different diet there is. There is one and only one that fits your DNA. The specific type of protein that is best for you; the fruits that you should eat and the ones you should stay away from; the vegetables that help you the most and the ones that could even be harmful. We are told that it’s good to exercise but how about knowing the exact exercise that will do your body the most good. Maybe running is bad for your type of body based on your DNA. Maybe swimming is the best exercise. This can all be found out with a new DNA test on the market called My Blueprint distributed by AOR. Results provide individual dietary guidelines in relationship to the impact of fats (saturated, unsaturated, omega3-6, arachidonic acid): carbohydrates (whole grains vs simple carbs); and specific dietary strategies to lower risk of chronic disease. In other words you will know exactly if mushrooms are good or bad for you. You will get a report which shows foods you need and foods to avoid. 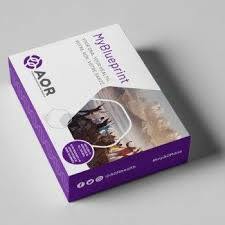 Your DNA test will provide a detailed list of your individual nutritional requirements including how to overcome inborn genetic predispositions to deficiencies of; vitamins A, B9/Folic Acid, B12,C,D,E; minerals—calcium, iron; omega-3 fatty acids; and choline; in addition to an increase need for probiotics and antioxidants. Some people with the MTHFR gene cannot absorb folate and thus have high levels of homocysteine which can cause fatigue, muscle weakness, pale or yellowish skin, shortness of breath, dizziness, irregular heartbeat and even numbness or tingling in hands and feet. If you have this gene you can supplement with 5-MTHFR and all the symptoms go away. Your doctor would try and treat all those symptoms with a multitude of drugs when one simple inexpensive supplement would return you to a normal life. Combining complex gene-gene interaction, you will receive a genetic obesity risk score allowing you to modify your lifestyle to reduce your risk. You will learn how to understand behavioral factors such as appetite, satiety and eating habits. Your individual DNA has certain triggers which you discover and this will help you succeed in weight loss. The FTO gene, known as the fat-mass and obesity gene, significantly influences risk for weight gain, affecting satiety levels and total caloric intake. Those with a particular version of the gene have a 1.8-fold increased risk of obesity, higher BMI and waist circumference unless protein intake is above 18% of total energy intake. This gene also influences your ability to lose weight in response to diet and physical activity. Studies show that those with the AA genotype lost considerably more fat mass on a high protein diet, compared to individuals with the TT or TA genotypes who showed no difference in weight loss on a low protein versus a high protein diet. I think it would be great to know exactly what your gene type is and which protein diet is best for you. This DNA test will indicate the genetic factors for dementia, Alzheimer’s disease, susceptibility to stress, alterations in mood; memory and risk of addiction.